With a long and successful history dating back to 1881, Bradford White	is one of the most technologically advanced manufacturers of water heating,	space heating, combination heating and water storage products in the world. With headquarters in suburban Philadelphia and operation in Middleville,	Michigan the company builds all of its products strictly for wholesale	distribution. Bradford White products for residential, commercial and	industrial applications are designed for installation by plumbing and	heating professionals. Bradford White’s wide range of both commercial and residential options	will make it easy for you to find the exact unit you need to meet your	needs in terms of water usage, efficiency desires, space requirements	and venting options. 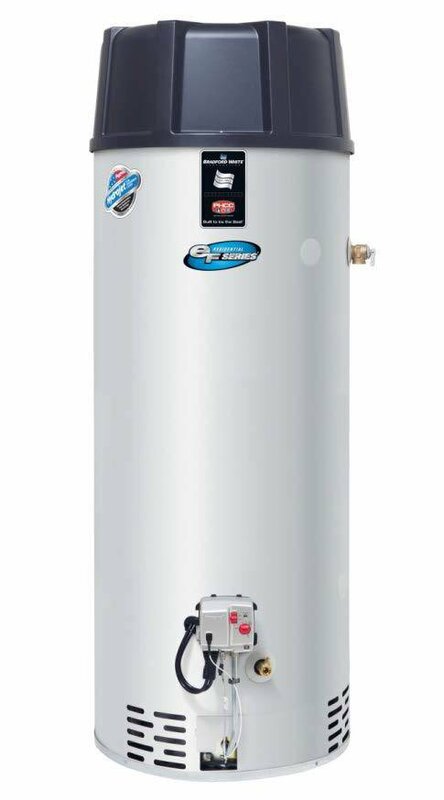 Every time you select Bradford White water heaters you are supporting American	citizens who manufactures the products, ship the products, sell the products	and install that finished product in your home or business. Donnelly Heating & Air Conditioning provides the West Chester, and	surrounding area, with the best that Bradford White has to offer. If you	are in need of a new water heater in the Chester County area feel free to contact us today for a free estimate.